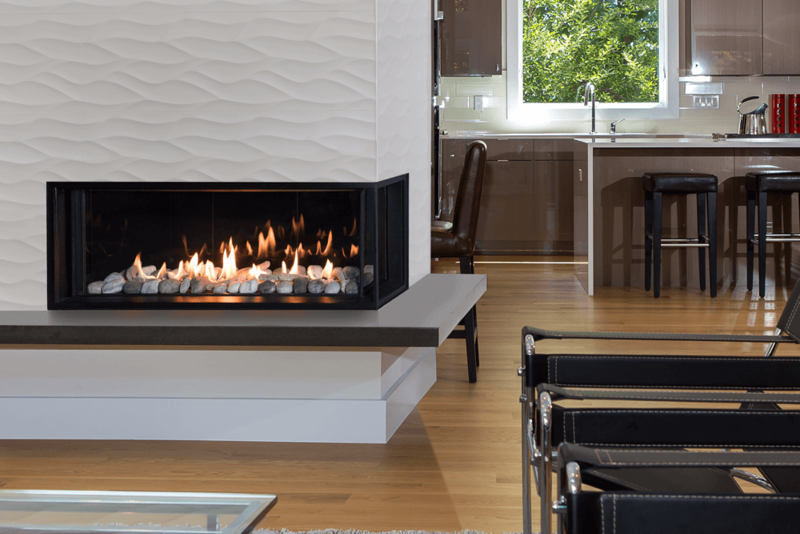 Valor's multi-sided linear fireplace now offers two engine styles to choose from. The 3-Sided engine is designed for 180 degree enjoyment, while the Corner engines offers design flexibility. 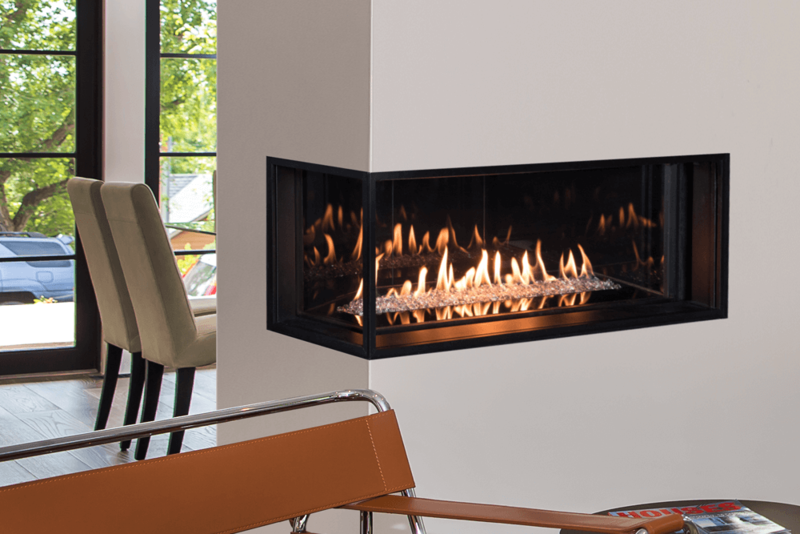 The LX2 provides outstanding radiant heat performance that will heat any living space. Available with splitwood, driftwood, rock and shale, and two types of glass fire beds, the LX2 will suit homeowners who value aesthetics, performance and safety. The LX2 requires the Valor HeatShift™ system - reducing wall temperatures and improving overall performance.